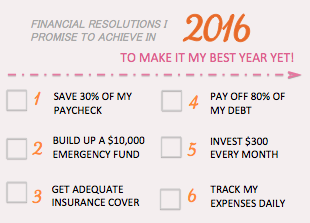 Make 2016 the year you finally get your finances sorted out! Some friends and readers have written to me about how they find it hard to achieve their own financial resolutions which they had initially set last year after reading about my story. As a result, I decided to come up with a list of beginner financial resolutions that are not only extremely achievable, but will also set you in good stead for your finances in future years. Last year, a number of readers were reposting my article on how I saved $20,000 in 2014, making it their resolution for 2015. Now that the year has come to an end, how did you fare? If you hit (or exceeded) this figure, congratulations on a job well done! If you didn't, what went wrong? Honestly speaking, I won't be surprised if many of you failed to hit the $20,000 figure (provided your income is in the $2,000 - $5,000 range after accounting for bonuses). That's because $20,000 will mean saving 35% - 85% of your salary if you're within that income bracket. While it isn't absolutely impossible, the reality is that most people find it hard to even save 30% of their pay given today's standards of living. For myself, I managed to meet most of my financial resolutions which I had set for myself in 2015 (save for paying off my student loan), and even boosted my savings by over 50% after I realized a few key lessons. For those of you who are still struggling, I've designed a list of beginner financial resolutions which anyone can easily adopt. If you're a fresh graduate (of less than 3 years of working experience) or just someone who hasn't yet gotten your finances in order, this is a good stepping stone to start with. 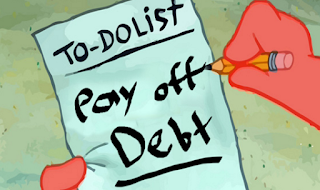 Feel free to PRINT and hang this somewhere visible so you're constantly reminded of your financial goals! The best part is, these beginner resolutions are EASILY ACHIEVABLE. 1. Save 30% of your take-home pay. Saving almost one-third of your income has always been good advice advocated by most financial gurus, planners and bloggers alike. If you're finding it hard to save a lump sum of $20,000 and beyond, break down your figure into smaller monthly goals that are easier to achieve. 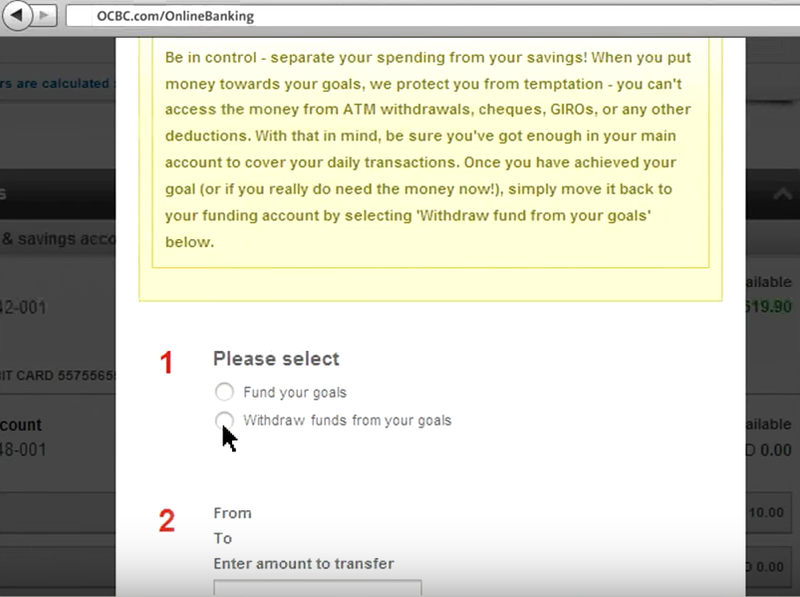 The easiest way to achieve this is to set up an automatic savings account which deducts 30% from your paycheck immediately once it comes in. Money out of sight or reach is also conveniently money that you cannot possibly spend, especially if you're someone with a tendency to spend and spend! OCBC currently offers this option, and it can be a great tool to help you reach your savings goal. Challenge yourself and go for 40% or 50% if you can, or even 60% (provided you don't have loans and too many bills to pay!). Alternatively, if you're finding 30% a little too hard (this might be the case if you still have loans and debts to clear), another method is to start small by first including your CPF amount and calculating 30% of your monthly pay instead. This should instantly make it much easier, since CPF automatically takes away 20% of your income for savings, leaving you with a manageable 10% left to top up. Once you get the hang of it, start increasing that 10% until you're closer to the full 30% goal without the help of your CPF. You'll find that it'll become much easier to achieve this goal in this manner! 2. Build up an emergency fund of $10,000. 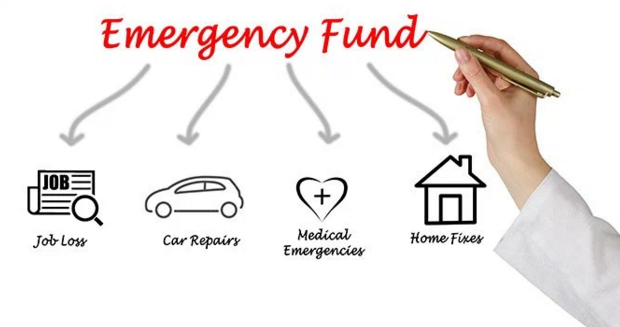 To understand why an emergency fund is so vital, head over to this article I wrote depicting some very realistic (and unexpected) events that could easily derail your financial goals if you do not already have an emergency fund on standby. Anywhere between 3 - 6 months of living expenses is healthy. Using $2,000 as a monthly average (and accounting for bills and fixed expenses that won't go away), $10,000 is an easy start to strive towards. 3. 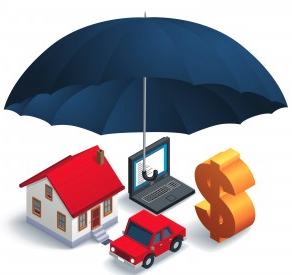 Ensure that you get yourself adequately protected with insurance. The world of insurance has gotten a lot more complex, and there are too many insurance agents out there on the street peddling to us insurance products that we don't really need (like ILPs and endowment plans) but which pay them plenty of money for closing the sale. Before you buy into insurance plans promising cash payouts, read this article detailing the 7-year historical fund performance of our local insurance companies first. Before you purchase your whole-life insurance, read this article on whether term might be a much cheaper (with the same level of coverage) option for you instead. Before you buy into an investment-linked policy (ILP), read this article by a local asset allocation specialist on why you shouldn't, and consider the fact that I (as well as many other financial bloggers) have decided to terminate our ILPs even though it meant losing all our years of premiums paid. 4. Pay off 80% of your debt. The longer you delay your debt repayments, the more money you end up paying (due to interest accumulation). Painful but true. Aim to pay off as much of your debt as you can from the onset, especially before interest kicks in. Furthermore, with interest rates on consumer loans projected to rise in the next few months, start paying off your debts so you don't lose any more money to the bank than you need to. For those who are still servicing their tuition fee loans, read my guide (includes a recommended repayment plan) on how you can get rid of this student burden as soon as possible. 5. 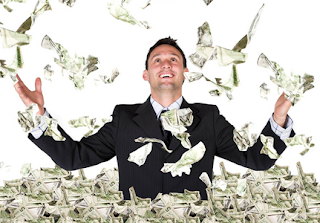 Commit at least $300 every month to your investments. This can be taken from your monthly savings, if you wish. After all, savings in the bank won't bring us very far in terms of the low interest earned on its own. Cash value erodes over time as a result of inflation as well, so we will need to turn to investments to keep up (or even generate more money). I've written on how you can get yourself started on investing here, as well as a more comprehensive guide detailing some resources that could be helpful on this guest article I was invited to write for DrWealth. I will also soon be giving out an e-book for interested readers soon, which I've been busy working on in conjunction with a few other respected financial bloggers in the local scene. The best part about the e-book is that it details the lessons that more experienced retail investors have learnt, while putting together a proper game plan that you can adopt for yourself. Given that everyone has a different investing approach and risk appetite, there are at least 8 different approaches that you can choose from and replicate. I swear, if this book had been around a year ago, I wouldn't have been as lost as I was when I first started investing earlier this year! The ebook will only be available to Facebook / Instagram subscribers, so head over to my Facebook page here or my Instagram feed here to like and comment on this post sharing with me why you would like to get this ebook. ALL who comment will be getting a complimentary copy of the ebook to start you on your investing journey for 2016! 6. 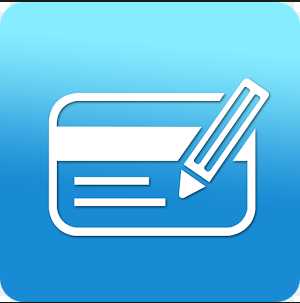 Develop a habit of tracking your expenses daily. The smallest action I take every day which leads to big results for me lies in the simple fact that I've made it a habit to track my daily expenses without fail. This habit was cultivated when I was studying in the U.S., and forced to keep track of my spending in order to ensure that I had enough to last me throughout my entire time there. I had one lump sum, and if I ran low, that was it. Unlike many of my peers, I did not have any "parents money" to fall back on, so I had no choice but to watch every single penny. Some financially-savvy people I know rely on Excel for this, but I've personally found that the easiest way to do this is through a mobile phone app. This has made it easy for me to key in the figures on the train journey home or anywhere else on the go, and I don't even need internet access to do this! 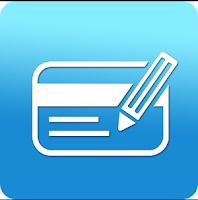 I've tried a few budgeting apps but my favourite is still Expense Manager, which is free and relatively straightforward. What I appreciate the most about this app is the ability to customize my own categories, such as dance and even segregating my food expenses into restaurants / normal meals / groceries / snacks. Here's the list again - print it out and display it somewhere visible so you can remind yourself of these goals! Feel free to modify the goals according to my suggestions above if you find them too difficult / easy, and take delight in ticking off the boxes once you've reached your individual goals! If you're able to get this done in 2016, I promise you that you'll be setting yourself on a fulfilling and financially-rewarding journey that you will be thankful for in a few years time. So do yourself a favour, and start on these financial resolutions right away. I look forward to hearing your success stories at the end of 2016! Congrats that u managed to accomplish most of ur financial resolutions. One of the thing u mentioned herein that struck me most is to pay down the tuition fee loan as fast as possible, esp those whose interest is high. I remembered I was $40k in debt the day I graduated - TFL, Study loan (for exp in uni) n computer loan. It took me 5 yrs before I completed paying. I should have pay more per month back then and clear the loan earlier. Yeah! Especially now that the banks have raised their interest rates. Lucky my sister has already paid off hers! regards to investing, what advice do you have for a newbie before we start to invest a standard amount monthly?? Hi Yappy, why not check out the free investing e-book mentioned in my other post, which I'm giving away free as part of the welcome 2016 new year finance resource pack? I have one chapter exclusively written for beginner investors in that book. What's more, you get to tap on the wisdom of 12 other financial bloggers as well. Hi, How do i subscribe to your ebook?